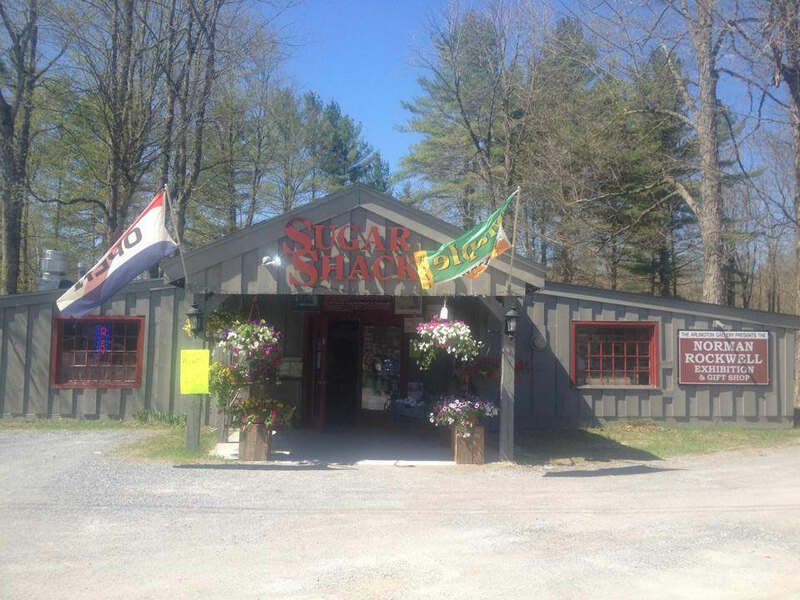 The Sugar Shack is located in Arlington, Vermont on Historic RT7A (Sugar Shack Lane). 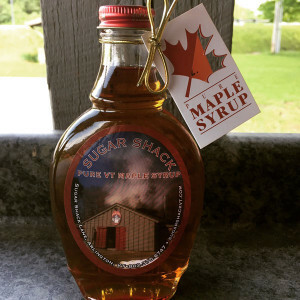 All of our pure VT maple syrup is produced right here in our on-site sugar house, with samples available in store daily. We also have a variety of VT food products from jams & mustards to cheese & fudge, VT sweats & Tees, souvenirs, maple frosted sugar cookies, fresh baked pies and our famous homemade cider donuts, and we are also home to the Norman Rockwell Exhibition featuring hundreds of examples of Rockwells works, 15 minute film and gift shop. Norman Rockwell lived in Arlington, Vt from 1939-1953 and painted many of our locals. Our pure VT maple syrup is made by the Hawley family, who has over 90 years experience in producing the sweet stuff. They take pride in making only the best quality, award winning maple syrup, in 4 grades! Samples available everyday for you to pick your favorite whether it’s the golden delicate, Amber rich, dark robust or very dark, you’ll find one to suit your taste! You’ll also find many VT food products such as a variety of jams, jellies, mustard, honey, Apple & pumpkin butters, cheese & fudge, with samples available daily. We have a large variety of VT tee shirts, sweatshirts, and souvenirs as well as a bakery where we make fresh baked pies, maple frosted sugar cookies, and our famous homemade cider donuts! fresh baked goods like; cookies, fudge, pies and more..
Made with love in the hills of Vermont, and shipped anywhere in the continental USA! Experience Vermont at The Sugar Shack! Located on the banks of the Roaring Branch River, you and your family won't want to miss this classic Vermont experience. Part country store, part bakery, and part Norman Rockwell Exhibit, there is something here for everyone.